Researchers from the University College of London believe they have solved the mystery of “painless people” and in turn have found a novel avenue for treating patients suffering from chronic pain themselves. The findings revolve around a condition called “congenital insensitivity to pain” (CIP), where a person is either completely unable to feel pain or is highly desensitized to the sensation. For obvious reasons, creating a drug capable of replicating this effect would be a boon to managing chronic pain. Since 2006, scientists have known that a sodium channel along nerve membranes, dubbed Nav1.7, was key to sending pain signals; Nav1.7 also doesn’t function in patients with CIP. Finding a way to artificially block these channels has been an ongoing challenge. Blockers exist, but have weak effects. The researchers noticed that patients and mice with non-functioning Nav1.7 channels also had higher levels of opioid peptides. When an opioid blocker was administered, both the mice and human patients began to feel pain. From this it was determined that a Nav1.7 blocker could be combined with a low-dose opioid to create an effective pain treatment. Once further development and research is performed, this type of combination treatment is expected to be much better than current options. Broad-spectrum sodium channel blockers are currently used as local anesthetics, for instance, but cause serious side effects that make them unsuitable for long-term use. Opioid-based painkillers like morphine are known to be highly effective but can result in long-term dependence and the buildup of tolerance. Since the proposed Nav1.7 blocker combo only requires a comparatively small dose of opioids, this effect is not expected to occur. Based on what patients with CIP experience, it is hoped that the proposed drug combination would block pain while still allowing for a sense of touch. Anticipated side effects include a diminished or lost sense of smell. It is hoped that human trials of the treatment can begin as early as 2017. 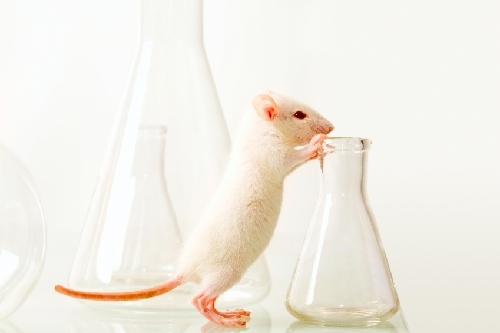 “GM Mice Reveal the Secret to a Painless Life,” EurekAlert! web site, December 4, 2015; http://www.eurekalert.org/pub_releases/2015-12/ucl-gmr120215.php. Minett, M., et al. “Endogenous Opioids Contribute to Insensitivity to Pain in Humans and Mice Lacking Sodium Channel Nav1.7,” Nature Communications, 2015; doi: 10.1038/ncomms996.